Chroma Airbrush Colors have been specifically designed for air brush use by wildlife carvers. The colours are ideally suited for bird plumage and other earthy colours found in nature. Chroma airbrush paint Azure 2 oz. Chroma airbrush paint Blue Interference 2oz. Chroma airbrush paint Brilliant Green 2 oz. Chroma airbrush paint Brown Earth 2 oz. Chroma airbrush paint Burgundy 2 oz. Chroma airbrush paint Burnt Sienna 2 oz. Chroma airbrush paint Burnt Umber 2oz. Chroma airbrush paint Canary 2oz. Chroma airbrush paint Carbon Black 2oz. 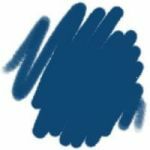 Chroma airbrush paint Cerulean Blue 2 oz. Chroma airbrush paint Chestnut 2oz. Chroma airbrush paint Driftwood 2 oz. Chroma airbrush paint Ebony 2 oz. Chroma airbrush paint Gold Oxide 2oz. Chroma airbrush paint Golden Glow 2 oz. Chroma airbrush paint Green Interference 2 oz. Chroma airbrush paint Indian Yellow 2 oz. Chroma airbrush paint Indigo 2oz. Chroma airbrush paint Magenta 2 oz. Chroma airbrush paint Napthol Crimson 2 oz. Chroma airbrush paint Napthol Red Light 2 oz. Chroma airbrush paint Nimbus Gray 2 oz. Chroma airbrush paint Nutmeg 2 oz.